Yvonne was born in South Bayshore, Long Island, NY, to Michael and Claire Francis. She grew up in Bayside. 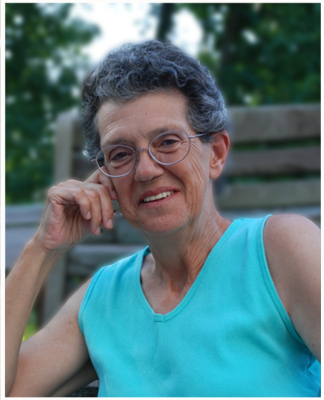 She graduated from nursing school in 1965 and promptly joined the United States Army. After meeting and marrying Edward Potts, Yvonne medically retired from the Army in 1972. Ed and Yvonne had two children, Kelleigh and Edward (Bob), and became legal guardian for her niece, Lorie. As a military wife, Yvonne kept the family on track and settled in each new duty station around the country. She served as a Navy Ombudsman for 24 years assisting other military wives and was named 1984 Ombudsman of the Year. Yvonne was a Girl Scout leader, a Cub Scout leader, involved with Eastern Star in Summerville #143 and Colonial #40 and as Blessed Queen in Triangle Girls (NY), advisor for Rainbow Girls and a service fraternity, Beta Sigma Phi, in which she served in many positions. Through all of these adventures, in more than 40 states and 3 tours overseas, she made friends and learned new things. Since her husband’s retirement, she and Ed spent time in their motor home, traveling and seeing the world. Her last trip was a 6-month trip driving from Virginia to Alaska. Yvonne is preceded in death by her parents, Michael and Claire, and her niece, Lorie. She leaves behind her husband of 46 years, Ed, her children Kelleigh (Steven) Bland and Bob (Dana) Potts, two granddaughters, Katie (19) and Kelsierae (9), and her sister, Juanita (Garey) Smith. She was dearly loved and will be greatly missed. A memorial will be planned for the summer. In lieu of flowers, donations in her name may be made to Hospice of Cumberland County Tennessee, which helped her through her final hours, at 30 East Adams St., Crossville, TN 38555, or to Donate Life, which was a cause she loved and believed in, at 701 East Byrd St., 16th Floor, Richmond, VA 23219.